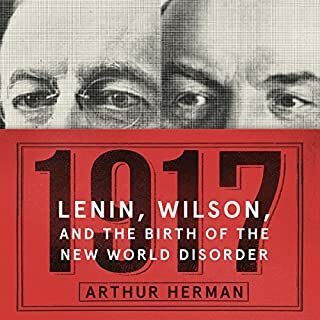 In this incisive, fast-paced history, New York Times best-selling author Arthur Herman brilliantly reveals how Lenin and Wilson rewrote the rules of modern geopolitics. Through the end of World War I, countries marched into war only to increase or protect their national interests. After World War I, countries began going to war over ideas. Together, Lenin and Wilson unleashed the disruptive ideologies that would sweep the world, from nationalism and globalism to Communism and terrorism, and that continue to shape our world today. The Arsenal of Democracy tells the incredible story of how Detroit answered the call, centering on Henry Ford and his tortured son Edsel, who, when asked if they could deliver 50,000 airplanes, made an outrageous claim: Ford Motor Company would erect a plant that could yield a “bomber an hour”. Critics scoffed: Ford didn’t make planes; they made simple, affordable cars. But bucking his father’s resistance, Edsel charged ahead. 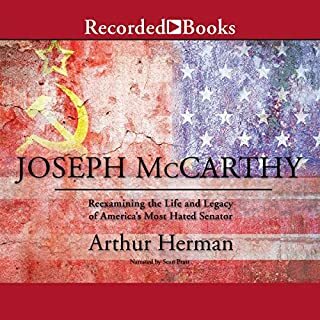 For the first time, here is a biography of Joe McCarthy that cuts through the clichés and misconceptions surrounding this central figure of the "red scare" of the '50s and reexamines his life and legacy in the light of newly declassified archival sources from the FBI, the National Security Agency, the US Congress, the Pentagon, and the former Soviet Union. After more than four decades, here is the untold story of America's most hated political figure, shorn of the rhetoric and stereotypes of the past. Paul Kennedy, award-winning author of The Rise and Fall of the Great Powers and one of today’s most renowned historians, now provides a new and unique look at how World War II was won. Engineers of Victory is a fascinating nuts-and-bolts account of the strategic factors that led to Allied victory. Kennedy reveals how the leaders’ grand strategy was carried out by the ordinary soldiers, scientists, engineers, and businessmen responsible for realizing their commanders’ visions of success. Douglas MacArthur was arguably the last American public figure to be worshipped unreservedly as a national hero, the last military figure to conjure up the romantic stirrings once evoked by George Armstrong Custer and Robert E. Lee. But he was also one of America's most divisive figures, a man whose entire career was steeped in controversy. Was he an avatar or an anachronism, a brilliant strategist or a vainglorious mountebank? In the late 1930s, legendary financier, philanthropist, and society figure Alfred Lee Loomis gathered the most visionary scientific minds of the 20th century at his state-of-the-art laboratory in Tuxedo Park, New York. He established a top-secret defense laboratory at MIT and personally bankrolled pioneering research into new, high-powered radar detection systems that helped defeat the German Air Force and U-boats. With Ernest Lawrence, he pushed Franklin Delano Roosevelt to fund research in nuclear fission, which led to the development of the atomic bomb. Would you listen to Freedom's Forge again? Why? 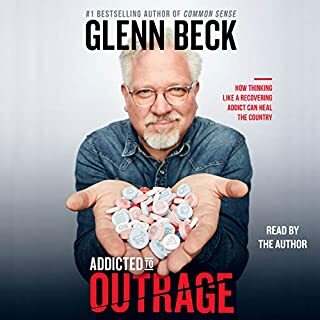 I have been waiting for this book to come out on audio since I saw the author's on TV promoting it. WWII has always fascinated me and I have always wondered how quickly after the attack on Pearl Harbor the U.S. was able to convert its factories to producing the materials needed for war. The surprising fact I learned from this book was planes, ships, tanks, and guns were already being produced and production was on the upswing. Yes I will be listening to this book several times. Today we have no clue how primitive our factories were and how long it took to retool machines. It took the foresight of a few political leaders to start early to save Britain by getting the best individuals (regardless of party affiliations) and ask them to serve (for no salary). This book is great for WWII enthusiasts and business historians. It illustrates what can be done when there is a will to do it. A fascinating miss link in the annals of WWII literature. Which character – as performed by John McDonough – was your favorite? It is a straight read for the most part but the narrator is outstanding. I'm still not sure why I enjoyed this book so much. I was fascinated by it, while at the same time wondered if I were the only person in the world who was. The premise of this book is a review of all the events that helped ready America to enter WWII with the power that would soon end it. 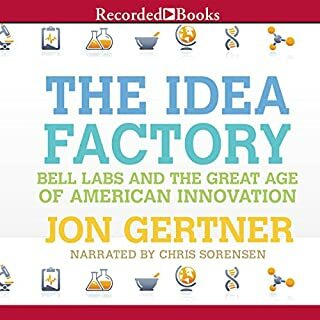 In the meantime, so many new inventions, technologies and ideas were put into play that America emerged from the war as the world leader it was for so many years. This part was compelling to me, but so were the people who happened to "be at the right place at the right time" that brought it all to pass. These things could only have taken place in a country where freedom allowed it. It is freedom that fosters forward, productive thinking and doing. Without it, we stifle ourselves. Here is a prayer for the future, that we don't let go of the precious little freedom remaining to us. It's hack to say, but this should be required reading for every American. It's amazing at least half the country assumes big business is bad no matter what they do, perhaps if they had a better understanding of how business works they wouldn't automatically and irrationally hate it so. 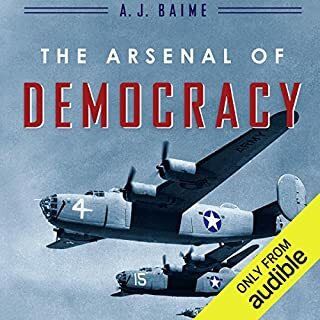 I've read a ton of WWII books and this one filled in a huge hole as it helps explain how America actually became the arsenal of democracy. It wasn't magic, it wasn't a switch that was flipped. I really enjoyed this book and the reading is excellent as well. Take a listen to the preview and if it interests you at all I strongly believe you'll enjoy it as much as I did. If you could sum up Freedom's Forge in three words, what would they be? 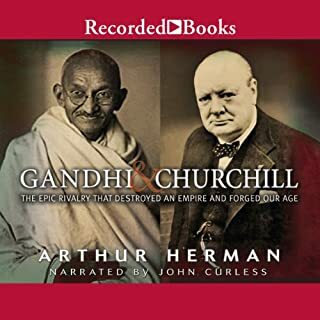 This is a very interesting true account of how America dominated the world because of its leaders and the power of free reign industrial development and production. I want to know history and I want to know it well. The ingenuity of Americans, from engineers to high school drop outs was inspiring. Not the Socialist FDR and not the Government and their central planners. If the government had tried to build the war machine, we would have been defeated!!!! 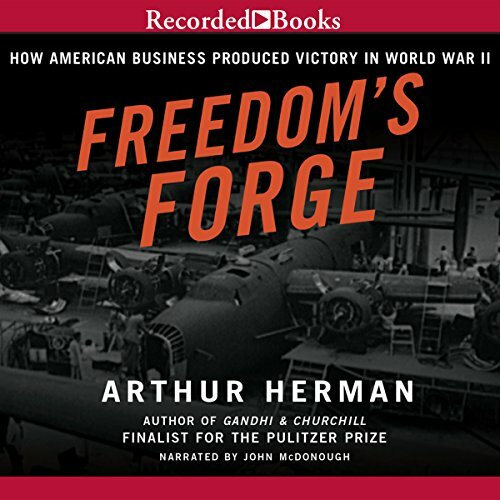 What other book might you compare Freedom's Forge to and why? Who really created the Arsenal of Democracy? An outstanding book that tells the unbiased truth about the Arsenal of Democracy, WWII, and the New Dealers. Shining example of business + government + labor can achieve what many though was impossible. Reinforces a view that jobs and technology are key to prosperity. Narration was spot on for this topic. Well done. What was one of the most memorable moments of Freedom's Forge? I especially enjoyed the account of the widow of Gen. Longstreet. What a woman to work on the B-29 at the age of 80 and then run for governor later. Engaging and very easy to understand. He has a comforting voice. A WW II home front we need to know. This is bar none the best book about how the USA built and ran the "arsenal of democracy". You learn about two men who shaped this country's identity and one of whom most people on the west coast still know his name but don't really know why. This book should be part of everyone's experience to help us understand the past so we can grow our future. Yes, because this period in North American history was so important to the entire world. How almost over night the major factories switched to war time production. The perfect narrator for this historical period. Yes, but I decided to streach it out. There was so much interesting detail that I felt like I was there..
Actually, I was. In 1943, at age 16, I was a draftsman at Boeing Aircraft in Vancouver. We built the PBY- 5A and the B-29.